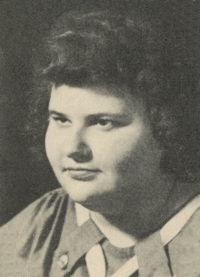 Obituary – Boeken, Florence Vera (Gillham) « Perry High School Alumni Association, Inc.
Florence V. Boeken was born December 23, 1931 to John & Martha Gillham in Red Rock, Oklahoma. She was a homemaker and a tour guide for Fort Harker Museum in Kanopolis. She was preceded in death by a son Larry and a brother Everette Gillham. She leaves to mourn her husband, Merle Boeken; daughter, Carol Nather; son, Terry (Melinda) Boeken; sister, Mary Folle; brother, Homer; and three grandchildren.